A new short script has been added to the scripts page. 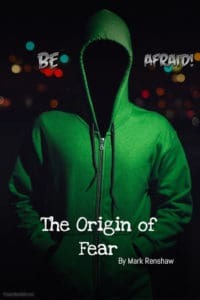 The Origin of Fear is an adaptation of one of Mark’s own short stories, which was lucky enough to win a competition and was published in 2017 as part of an anthology. It is about a university student working on a thesis about fear. She stumbles across a technique for identifying dangerous individuals, but her latest experiment takes a lethal twist, when it becomes apparent her work is gaining the wrong type of attention. This script would be a micro budget to produce. It requires one indoor location, two main actors, four extras, a make-up artist who can do decent horror FX and maybe minor CGI to enhance the make-up. Oh, and a tablet or iPad! This entry was posted in script, short film, short story. Bookmark the permalink.